What is ‘ship-hiking’? How can you get to Mexico with only 50 euros in your pocket? And what should you do when you run out of money while travelling? 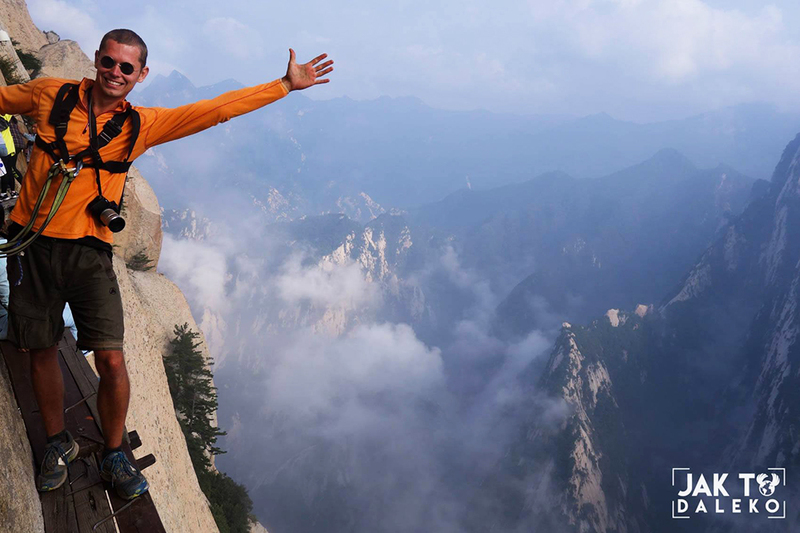 Answering all these questions and more is globetrotter Tomasz Jakimiuk, who in 2017 went on a trip that was branded by National Geographic Poland as ‘the most amazing journey of the year’. 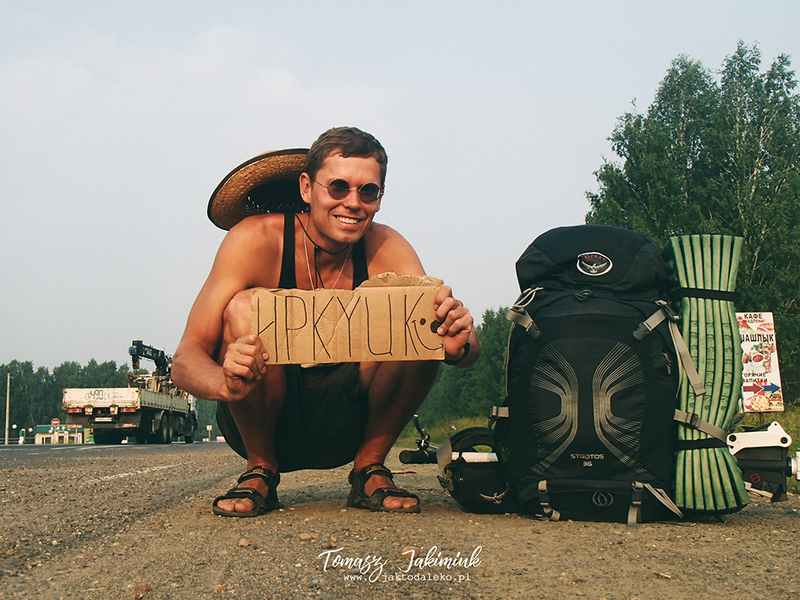 Evgeny Klimakin: Tomek, you travelled 18,153km by scooter and hitchhiking from your small hometown Siemiatycze all the way to the Tibetan Plateau. But tell us a little bit about your first journeys. 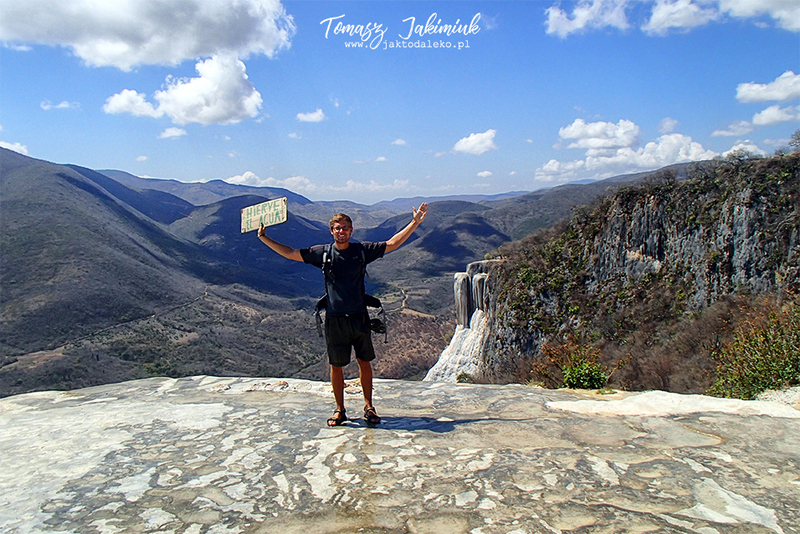 Tomasz Jakimiuk: I always had this crazy urge to travel. When I graduated from high school, I had just turned 19, but I'd hardly seen anything beyond Siemiatycze. TJ: Yes, there was one trip. I once went with a group of young people and our parish priest to Lithuania. TJ: I was born in the Podlaskie region, where many Polish Orthodox Christians live. I was brought up in this tradition. I joined an Orthodox brotherhood and, when I was 18 years old, I went to Lithuania. I'll never forget that trip. Before then, I'd never even been to Warsaw before! We visited a few churches and went to a big waterpark. I took so many photos. I wanted to remember every place, every person that I came across on this trip. EK: Was that when you decided to become a traveller? TJ: No. My mom raised my sister and me by herself. We didn't have any money for travel, and I didn’t yet know that it was possible to travel with almost no money. If someone had told me then that in a few years I would visit Pakistan, cross the ocean by ’ship-hiking‘ or travel to China on a scooter, I'd tell him that he was out of his mind! EK: Why do you travel? TJ: I think I’m making up for lost time. EK: You've been to dozens of countries. It seems like you have already made up several lifetimes of lost time. TJ: For three generations at least! My ancestors never went anywhere. They lived in small towns their whole lives. For me this is an additional incentive to take my backpack, tent and a pair of sweatshirts once again and set off for Mexico, Russia or Morocco. It’s nice when people call me a traveller, but I sometimes say that I'm just a vagrant. I go with very limited funds. I don’t book accommodations in hotels. I don’t even know how long my trips will last. My plans completely depend on who I meet on my way and where I end up spending the night. How is this not vagrancy? But it's very pleasant, interesting, creative and, most importantly, not out of need, but out of free will. EK: Why did you decide to go from Poland to China on a scooter? The idea seems rather absurd. TJ: At first glance it may seem crazy, but this was a very practical decision. It's easiest to travel without baggage in your hands or on your shoulders. I realised that I could put my backpack on the front of the handlebars of my kick scooter and ride like that. Some may say that a bicycle would be more comfortable, but no one will take you in their car if you have a bike. But with a scooter, it's easy to catch a ride. Besides, everyone wants to chat with a person who's journeying from Poland to China, to try out the scooter and take pictures together. EK: How long was your journey? TJ: I went over 18,000 km (11,000 mi) in 105 days. I went through Ukraine, Russia, Mongolia, and then on to China. My goal was to reach the Tibetan Plateau. I came back by airplane. EK: There must've been many things that made an impression on you. TJ: Yes! For instance, I went to the Great Wall of China. I met so many terrific people. I must confess that I'm most interested in people who are brought to me by fate. EK: Tell me about them. TJ: On the Tibetan plateau I met a man who'd come on his motorcycle. He spoke neither English nor Russian, but with gestures he showed that he was willing to give me a ride. This man understood only one word: ‘okay’. It was evening. He brought me to his village and invited me to his home. In his apartment there was a small kitchen and a tiny bedroom. We were met by his wife and two children. The wife spoke to the man with a raised voiced for a while. I think, she was not too happy that her husband had brought home some foreigner. But they kept me. I was the first white person who'd ever come to this village. The children examined my skin, touched my hair, studied me like a UFO. EK: You definitely wouldn't cause such a stir in Ukraine or Russia. TJ: No, but in Ukraine, I almost got married. One driver brought me to a village and decided to introduce me to Mrs. Maria, a local elderly woman. The small, skinny woman at first asked me how old I am, where I’m from, and then she called her great-granddaughter Olya. ‘Olya, this is Tomek’, the old woman presented me. ‘He graduated from university and came to us from Poland. He's a very good man, he travels a lot, he can sleep in any condition, even in a tent. Kids, get to know each other, go chat. Maybe something will happen’. I had no idea how to get out of this situation without offending this 93-year-old woman. EK: But you didn’t end up marrying her granddaughter? TJ: With some effort I was able to change the subject. Then Mrs. Maria began to tell me about her life. It turned out that during World War II the Nazis put this frail woman in a labour camp in Austria. There she met some Poles who helped her. The word ‘Pole’ was for her was synonymous with the word ‘friend’. The meeting with me was for Mrs. Maria a meeting with her past. It's a very moving story. We bid farewell like kin, even though I didn’t end up marrying her great-granddaughter. EK: What did you learn from your journey? TJ: To be patient. Sometimes you're standing on the side of the road for an hour or two or three, waiting for someone to pick you up. Such a driver will definitely appear, but you have to wait for it. 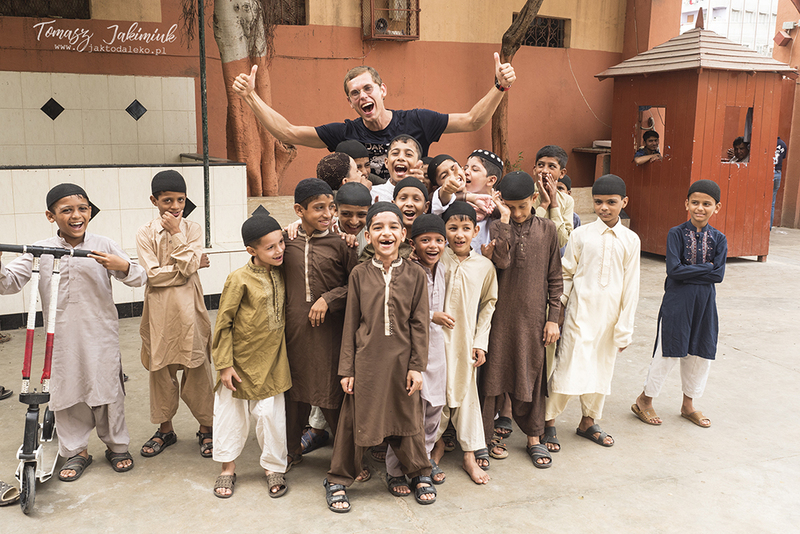 My travels have also taught me to accept people as they are. I've lived in a hippie village where people walk around naked, I’ve spoken with transvestites, met Tibetans who toss out the bodies of the dead to be devoured by vultures. All of these people have the right to live as they are accustomed to. Their traditions and their choices need to be respected. They did not impose their way of life on me. EK: Were there any negative consequences? 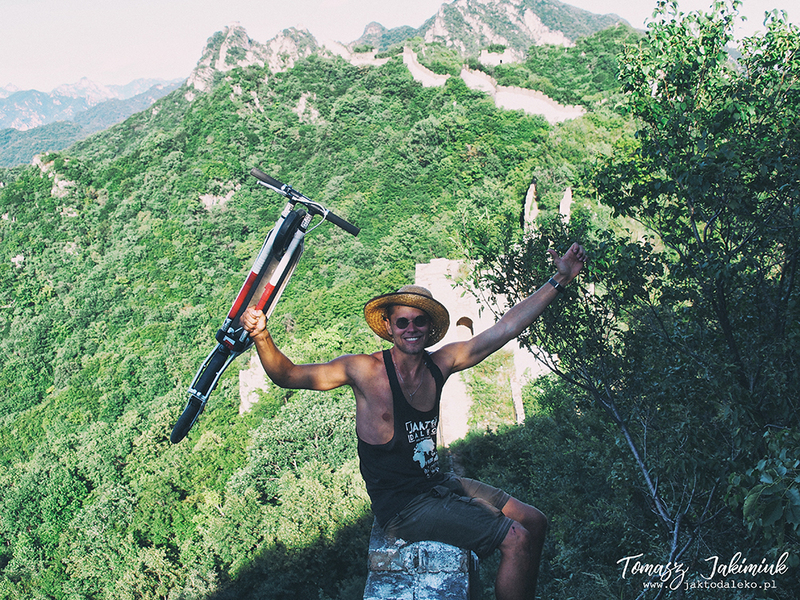 TJ: While travelling on my scooter in China, I found out that one of my legs had become bigger than the other. This was because I was using the same leg to push my scooter the entire time. The muscles in it grew very strong. It looked funny, but it's just a little thing. EK: What did you get your education in? TJ: I studied at the Białystok University of Technology in the departments of tourism and management. In school I really liked geography and I figured that these departments would bring me to different countries, places that I'd only read about in books. But when I was studying at university, I was tormented by the thought that this was all just theory. EK: When did you decide to change everything? TJ: The turning point for me was this one trip to Kraków. I hitchhiked to a festival for travellers which was being held at Jagiellonian University. I got up at dawn, took my tent, made fifteen sandwiches and set off at 5 am. I was afraid that I wouldn’t be able to make the nearly 500-kilometre journey from Białystok to Kraków. But at 10 pm I'd reached my destination. Then, what happened at the festival changed my life. EK: What did you learn there? TJ: For example, there was this one man who was telling about his expedition to Mongolia. I asked how he got there, did some tourist agency help him? It turned out that those gathered at the festival generally didn't use the services of tourist agencies. They planned everything themselves. Another man talked about his journey to the Amazonian rainforest. I looked at this ordinary guy, who was not a millionaire or some celebrity and I realised that I too could reach the ends of the earth one day. I met a girl names Viola at the festival, and we decided to hitchhike to Norway together. We wanted to see the northern lights. EK: Did you see them? TJ: No! Good lord, it was so cold there! We travelled for two weeks and reached the city of Trondheim, but we didn't see the aurora. We returned home after that. TJ: We were poorly prepared for the journey, so we simply couldn't handle it. On the eve of the trip, I bought second-hand a sleeping bag for 2 euros and summer tent for 10 euros. Outside it ranged from -5° to -10°C (23° to 14°F). We were so cold! I didn’t know then how I needed to dress to sleep comfortably in a tent in such low temperatures. Now I can easily endure the cold. To hold out a bit longer when our money ran out, we brought a carton of cigarettes with us, which were much more expensive in Norway than they were in Poland. EK: Did you sell them? TJ: Yes! Of course, we didn’t hustle people on the street. When we'd be riding in a car that had picked us up and realised that we were getting on well with the driver, we'd say that we brought these goods along with us to earn money for our trip. Honestly speaking, for me this was a serious test. Imagine you are a college sophomore, carrying a twenty-kilogram backpack with 16 cans of food and setting off for Norway to see the northern lights, and on the way trying to sell cigarettes. It’s wild! But it was an important experience. EK: Does the backpack you have today look different from 5 years ago? TJ: Absolutely! When I left on my first journey, my mom ran after me shouting: son, take another pillow! She doesn’t do this anymore. Now my backpack weighs 10-11 kg (22-24 lbs). Inside it I keep my sleeping bag, clothes, tent, camera and computer. I take and publish videos of my journeys. Thanks to my trips I've become much more organised and open. I also learned how to earn money when it runs out. EK: How do you earn money during your travels? TJ: One thing I did was teach myself how to play the harmonica. It’s a small, light musical instrument – it doesn’t take up much space, I can always take it with me. You sit in a square, begin playing and people will gather around you. EK: Do you earn a lot doing that? 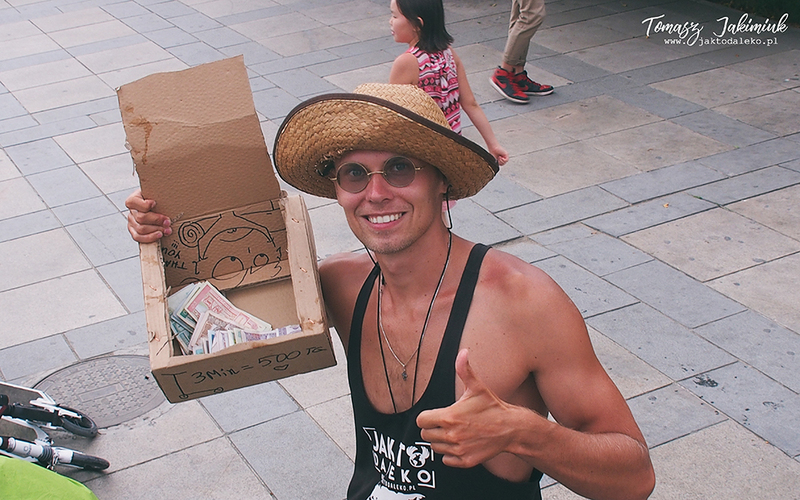 TJ: I earned the most money playing the harmonica in China of all places. There I met a guy from Vladivostok who was travelling with his ukulele, and a man from Singapore who had borrowed a tambourine from someone. We created something vaguely resembling a musical group. Passers-by saw that we weren't very good, but they smiled, took photos and tossed us money. In four hours we'd earned about a hundred dollars. EK: You could make a career in China! TJ: I could make one if I knew how to play. Fortunately, it's not my only method of earning money while traveling. For example, I can blow big soap bubbles. By the way, anyone who wants to go on a long journey sometime can add this method of earning to their arsenal. To make huge soap bubbles you must have water, liquid detergent, a shoelace and two sticks. There are many videos on YouTube about how to make big bubbles. Children and even adults can’t just walk past a person who is making huge bubbles right before their eyes. This skill saved me many times. Of course, they don’t always agree, but in the end, you'll always find work somewhere. Sometimes funny situations happen. For example, in Mexico in 80% of cases I was refused. EK: They didn’t want to pay you? TJ: On the contrary. People wanted only to help, but they didn’t want me to work. They chatted with me, asked about Poland, about my travels, about life in Europe. The Mexicans fed me, invited me to stay the night in their homes, and a few of them even tried to slip some money for the road into my pocket. By the way, this applies not only to Mexico. I was never refused anywhere when I asked for a glass of water or a piece of bread. EK: You've moved around not only by hitchhiking, but also by ‘ship-hiking’. TJ: Once I read about a man who had sailed across the ocean a few times. He simply went to a port and asked ship captains if they'd take him aboard. I thought: ‘If he could do it, then so can I’. I went from Poland to the Canary Islands with only 50 euros in my pocket, and began looking for a person who'd agree to take me aboard. EK: Did you have to search for long? TJ: For two days I walked around the port and inquired whether someone would give me a lift to Brazil, Venezuela or Cape Verde. Everyone refused. The main problem was that I'd never been on a sailboat before. I didn’t know how to do anything useful on a ship. EK: Did they feed you during the journey? TJ: We agreed that I had to provide my own food. Before we set sail, I worked for a week, playing the harmonica and making soap bubbles. EK: How did the trip go? 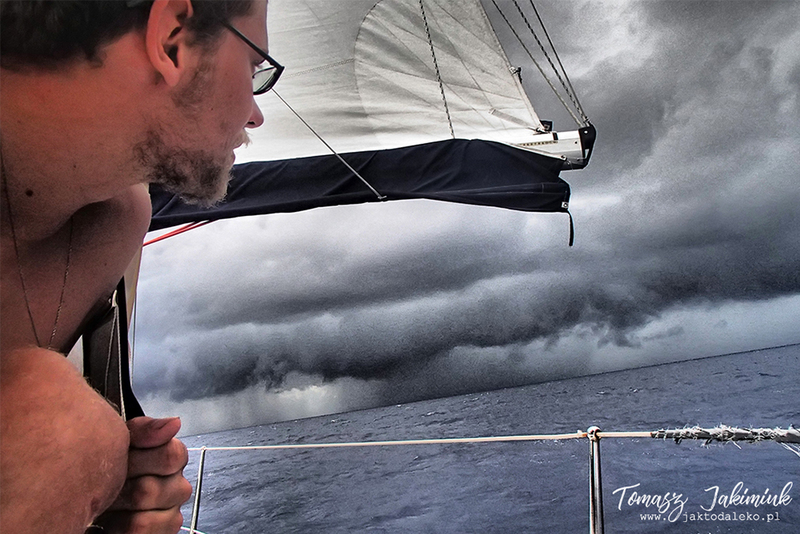 TJ: We sailed nonstop for 21 days. At first, I got seasick, but then I got used to it. It was very scary when a storm would hit. Our boat was very small, only 12 metres long. When it began to toss from side to side, I, honestly speaking, bid farewell to life. I'd never prayed so fiercely before! Fortunately, everything turned out well. When we arrived in the Caribbean, the captain invited me to sail with them further to Mexico. So I spent another two weeks at sea. EK: You are 26 years old. What do you say to people who ask where you work? TJ: Travel and everything that related to it – this is my work. I give lectures on travelling. I have a blog Jak To Daleko [editor’s translation: How Far Is It]. I want to start an Internet magazine. After university, I tried to work at the Ministry of Sport and Tourism. I could develop my career and climb the ladder, but I didn’t survive for very long there. EK: You quickly ran away? TJ: After one week. I very quickly realised that a so-called normal office job was not for me. Now, travel is my life, my work, and my hobby.